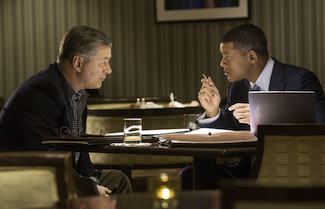 The NFL rejected a brain injury study from Dr. Bennet Omalu (played by Will Smith) and Dr. Julian Bailes (played by Alec Baldwin) as portrayed in the filmConcussion. The movie Concussion opens with the story of “Iron Mike” Webster. Fifteen years as a center in the NFL for the Pittsburgh Steelers had earned him stardom and four Super Bowl rings, but also a host of behavioral and memory problems in his later years. Pittsburgh’s hometown hero gave away or lost all of his money (he couldn’t remember which), would often slip into a catatonic state, and eventually became homeless, living out the last years of his life in his truck. The NFL eventually settled for $765 million, causing a ripple effect throughout the sports world. 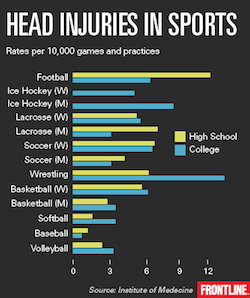 Many professional, college and high school sports programs have changed concussion protocols and rules of play as a result, and insurance companies have followed suit by requiring stricter adherence to proper procedures for TBI care. 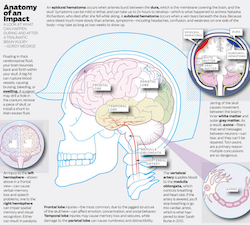 The NFL even started its own brain bank to study the brains of former players with the hopes of creating new measures that will combat the possibility of brain damage or CTE. NFL data released ahead of Super Bowl 50 showed that concussions weredown 25% this season, mostly due to changes in technique by the players.